So, it’s rolled around to that time of year again where most people feign their interest in the festive season because it suddenly hits them that they have to venture out into shopping centres, rummage through stores for hours on end amongst a swarm of busy shoppers to buy presents for people on a seemingly ever-growing list. Even though we’re almost positive that you’ve already convinced yourself that he’s impossible to shop for, we’re up for the challenge. If he’s the type that likes to go bush-bashing, there’s a ton of gear in the Great Outdoors & Camping Equipment auction where you can find sleeping bags, inflatable mattresses, binoculars and just about everything else he would need to channel his inner Russell Coight. We also have a great selection of LED lighting for 4×4 vehicles. You can get them connected to the front of the car, which are perfect for when he wants to head off onto the beaten track (and probably get lost). Or, if he’s a handy man and likes his DIY projects, you can pick up a range of different timber for decking or some beautiful slabs of hardwood that could be sanded back, stained and polished to create a gorgeous, unique piece of furniture. If you want to get something extra special, you could opt for the ultimate gift for any guy; a new barbecue. There’s also a huge range of barbecue accessories for him to add to his existing collection and invite over all the family and friends to show off his new burger-flipping skills. For the young adults, our Super Sunday auctions boasts a number of guitars, surfboards, gym equipment and lots of other weird and wonderful finds for something out there and a bit different. There’s vintage tin art and posters that could be a great addition to the man cave or to liven up the bare walls in his bedroom. You can never go wrong with simple, elegant jewellery. We have three different auctions to cater for every budget; the fashion jewellery has some funky, chic accessories if you’re looking for something small but sentimental. If you’re utterly clueless when it comes to what style she’s into, then we would suggest opting for a watch or something modest; less is more! The Sunday Savers Affordable Jewellery Online Auction largely consists of elegant, timeless pieces for any age. These are a great option because they are exceptionally cheap but don’t compromise on quality. Or if you really want to spoil her, we have a fine jewellery auction with some high-end bracelets, earrings and necklaces that you can take home for a fraction of the recommended retail price. We’re almost certain that she will also love new linen; there’s 1000 thread count cotton sheets, bamboo cotton in a range of different colours that will make crawling into bed at night even better. There’s also a range of Egyptian cotton towels that are sensationally soft, plus duck-down duvets and top-quality mattresses. Christmas is the season of giving, so if she’s really into her homewares and making the house feel like a home then why not get her a vibrant painting from our Fine Art Auctions. That way you’re supporting a great cause as well as giving a thoughtful gift that’s definitely going to earn you some brownie points. For the younger ones, there’s an Unreserved Christmas Stocking Fillers auction bursting with toys that they’re bound to love. 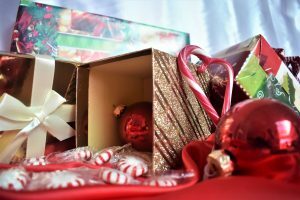 If you’ve found that in previous years they’re most interested in the box than the present you got them, try a remote-control car or toy truck and watch their eyes light up as they unwrap these great gifts. Because this auction is also completely unreserved, you can put them under the tree without breaking the bank. The parents/grandparents are usually a tough one! Try something with a touch of sentiment; we have a Coins, Banknotes and Stamps auction where you might be able to find a coin from the year they were born. This is a great way to bring back fond memories and something they can hold onto and pass onto generations as an heirloom. If you’re completely stuck on what to get the parents, we have a selection of fine red/white wines and a range of sprits including limited edition Bundaberg rum that they’re sure to enjoy as the weather warms up or something that they can keep for a special occasion. If you can manage to avoid the anarchy this festive season then you have an opportunity to relax, spend more time with the family and make this Christmas truly memorable.